L'Oreal Paris hair colorant kit has an enhanced technology, enriched with three ingredients. Hair feels silky soft. We will always help you to have a 100% positive happy buying experience. Add to Favourites. Loreal Steam Pod - No Pump Or Brush. The iron has a small crack but this doesnt affect the way it works at all. Condition is Used. Dispatched with Royal Mail 2nd Class. Get the sun kissed look with casting Sun kiss Jelly. The soft translucent leave-in jelly gradually lightens and is designed to create a long-lasting soft sun kissed look. For dark blonde to light blonde. Colour Availability: Lilac. Hair colour that washes out in 1-2 weeks. For Blonde, Ombre or Highlighted Hair. We will always help you to have a 100% positive happy buying experience. Add to Favourites. L’Oreal Steam Pod Hairstraighteners Safari Chic (Limited Edition). 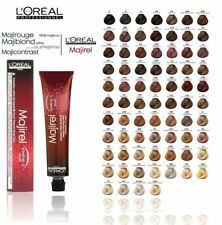 L'Oreal Prodigy Hair Colour 4.15 Sienna Natural Dark Mahogany Brown. 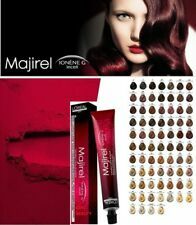 1 x L'Oreal Prodigy Hair Colour 4.15 Sienna Natural Dark Mahogany Brown. L'Oréal Preference Hair Colour Wild Ombres. L'Oreal Paris Preference Wild Ombre 3 is the fashion forward way to lighten your hair. Preference's Wild Ombre kit contains lightening cream technology giving optimal lightening and luminous hair. L'ORÉAL PROFESSIONNEL. Showcase the beauty of grey hair with this colour clarifying shampoo. Rinse thoroughly. Distribute evenly through wet hair and lather. White/Grey hair. Contains anti-yellowing agents and amino acids to reduce unwanted, strong yellow tones and strengthen. • Covers Grey. • Color lasts up to 28 shampoos. Glossy and natural looking color in just 20 minutes. • Natural looking color. L'Oréal Feria Hair Colour. L02 - Super Platinum Power. Also with our high-shine shot. Brass-defy conditioner with our Brass-Defy conditioner to protect against brassiness and for long-lasting colour and shine. Casting Sunkiss Jelly. For natural hair only. Get the sun-kissed look with casting sunkiss jelly for dark blonde to light blonde hair. Lighten all over or create the highlights/ombre look. Just leave the jelly in - no rinsing is needed! 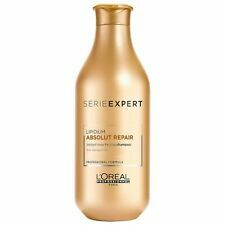 For best results, use in conjunction with: Serie Expert Curl Contour Shampoo. Put a spring in your curls with this lightweight gel mask. Curly hair can often be dry so quench thirsty hair and help prepare the surface for a smoother feel. Either replace your conditioner with this mask or use it occasionally for an extra nourishing feel. Leave it on your hair for 3-5 minutes and then rinse it our thoroughly. Need help or advice?. View Related Products. We will always help you to have a 100% positive happy buying experience. Add to Favourites. Create a fashion forward dip dye effect. It developed with experts to help achieve the ombre look. Simply brush through the lengths of your hair. Enriched with nutri-ceramide for smooth and silky hair that's easy to manage with dazzling shine. Feria Permanent Hair Colour. Feria's fade-defiant technology has high-resistant tones that lock in ultra-intense, stand-out colour for weeks. High-shine concentrate, a luscious oil, just drop into the mix. It developed with experts to help achieve the ombre look. Group IV: lightening. Grey coverage: not adapted for grey hair. Ambient type storage. L'Oreal INOA Ammonia Free Permanent Haircolor 6/6N 2.1oz/60g. L'Oreal INOA Ammonia Free Permanent Hair Color is for normal and color treated hair which provides scalp comfort and reinforces coverage up to 100% white hair. L'ORÉAL PROFESSIONNEL. SHINE BLONDE. Neutralises unwanted yellow tones and removes impurities for purified and shiny blonde hair. Blonde hair. Bring back the colour clarity of blonde hair with this brightening shampoo.